MIH provides virtual private network to business customers who need private and secured services. Initially offering from 2 Mbps - 100 Mbps. MIH covers Yangon city region in 2017 and expand to outer part of Yangon in 2018. MIH provides 4 hrs. mean-time with responsive customer support. Continuous 24x7 network support, monitoring and monthly reports showing all activity. MIH provides its service date within 10 working days after customers confirm their orders. 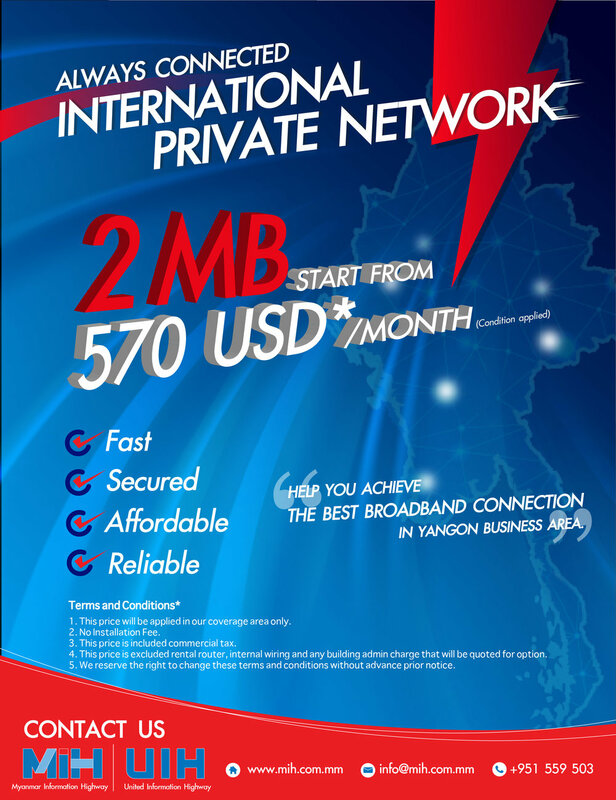 Get international Private Network Special Promotion now. MIH is pleased to offer you an exciting package by filling out this form.